Leading Brexiteer figure Jacob Rees-Mogg refused to criticise his ERG colleagues on Wednesday morning. 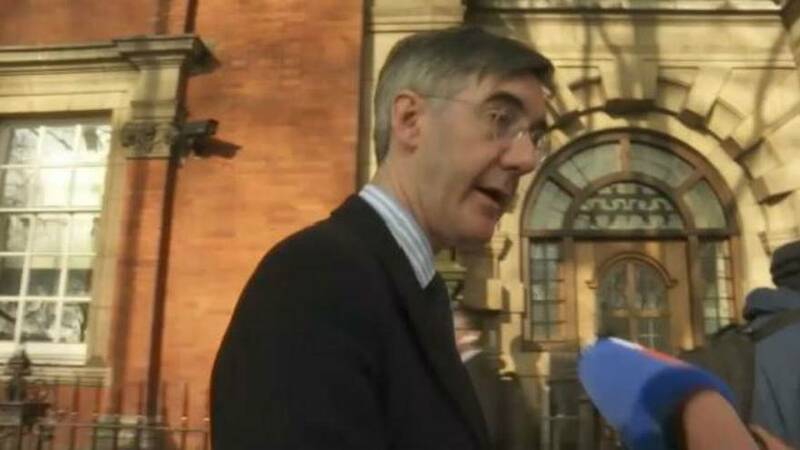 Euronews' Tadhg Enright caught up with him on Millbank on his way to the House of Commons and asked Rees-Mogg if his fellow Brexiteers had miscalculated in consistently voting against Theresa May's deal because they thought it could achieve no deal. Rees-Mogg bucked the trend by finally voting for the deal himself. "I think they have every justification for it because Mrs May's deal is a bad deal. I came to the conclusion that it was the best of a bad lot last week and therefore voted for it in the end," he told Euronews. However it's clear he did not expect them to follow suit. "I think they had good and strong reasons for what they did and I'm certainly not in the business of criticising them." Moreover, if other ERG members decide to move against the Prime Minister, Rees Mogg says he wont be one of them. "I did do that last year, and I lost," he said, candidly. But his position was a springboard to take a jibe at Remainers. "I think that when you lose, you have to accept the result." Rees-Mogg then waved to a trucker who expressed a pro-Brexit stance from his cab. "Brexit isn't done for, but I think this is a bad way of proceeding," he concluded. Brexiteers are ready to confront the PM during prime minister's questions later today. Theresa May's willingness to sit down with the leader of the opposition has made many Leavers anxious that any potential deal with Corbyn will result in a softer Brexit.